Several mega-tremors in the Muslim/Arab world over the past few years, coupled with internal processes taking place within the country – some directly related to the Muslim upheaval and its resultant mass influx of refugees, and some indirectly related – have resulted in a significantly increased risks to German sports venues, major landmarks and shopping centers, government facilities and transportation hubs. The risks come from both Muslim extremists and right-wing extremists, and they originate from within and without the country, causing the German security authorities to invest heavily and look for new ways to mitigate vulnerabilities and increase security. Sports venues, particularly soccer stadiums have long been a favored target of terror groups, primarily because of their high potential casualty and consequent media exposure. In late August 2016, German police arrested what the media described as a “high-ranking ISIS terror thug” on suspicion of targeting the Bayern Munich’s Allianz Arena, just as the German soccer league was about to start its season. Specifically, the suspect was targeting Bayern Munich’s match with Werder Bremen on August 26. The plot involved detonating a bomb inside the stadium. On December 23, 2016, German police arrested two Kosovan brothers on suspicion of plotting to attack Germany’s largest shopping mall, CentrO, in the city of Oberhausen. On November 2010, German police raised the country’s terrorism threat level, informing the country that the security services have concrete information about a plot by terrorists to attack the country’s seat of government, the Reichstag building in Berlin. The German government claimed that the intelligence it received indicates that the Reichstag building was not the only intended terror target, but that the terrorists focused on other iconic landmark in other cities. 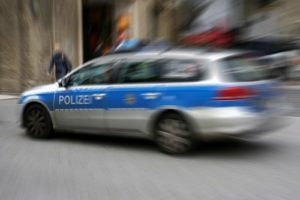 On October 10, 2016, German police have arrested in the city of Leipzig a Syrian asylum seeker on suspicion of planning a bomb attack on a transportation hub. The suspected terrorist had in his possession several hundred grams of TATP, a potent homemade explosive, which according to authorities he intended to detonate either in an airport or at a train station. On December 2015, German security authorities declared that they had foiled a plot by up to seven radical Muslim suicide bombers to attack two of Munich’s train stations (Hauptbahnhof and Pasing). The stations were evacuated as part of the operation to neutralize the threat. The same year, 2015, in November, Parts of the Hannover central train station, as well as several other mass transit stations were closed to the public as part of a threat mitigation action taken by police in connection with a bomb threat to a soccer stadium in the city. On March 11, 2011, German police announce it foiled a terror attack against the soccer stadium in the city of Dortmund. The police claimed that the event was not a terror attack. After questioning a suspect, the police retrieved three improvised explosive devices from the neighborhood of Borussia Dortmund’s football stadium. According to the police, this event was probably a blackmail attempt. In Germany there are frequent fights between right-wing hooligans and left-wing, anti-racist ultras. Such clashes took place, amongst other locations, in the cities of Aachen, Braunschweig and Duisburg. German hooligans are said to occasionally act under the influence of crystal meth, a highly addictive drug. While risk is part of our lives, there is a lot we can do to minimize its impact. TAL Global’s experienced Risk Management experts will work with you to understand, analyze and address the particular, evolving and ever-changing risks you face, to make sure your organization or facility functions without disruption. Our proactive, intelligence-based approach, will minimize your exposure and vulnerabilities and actively protect people and assets from risk factors such as: workplace violence, shooters, terrorists threats, crimes against property & people, cyber-crime, and unfamiliar laws & regulations. Call us to tell us about your concerns. Next PostThe Terror Attack in London – Expect More of the Same in Europe and US as ISIS Loses its Grip?